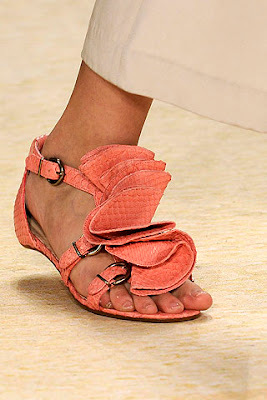 All these shoes are part of the 3.1 Phillip Lim SS 09 collection. 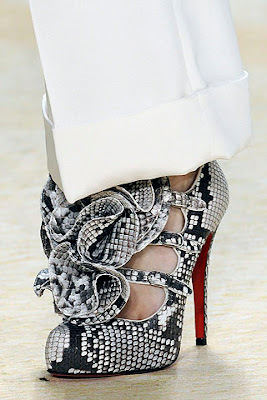 Behold, Christian Louboutin pumps decorated with ruffles. Actually, ruffles were quite a motif running through this collection, keeping it cohesive. 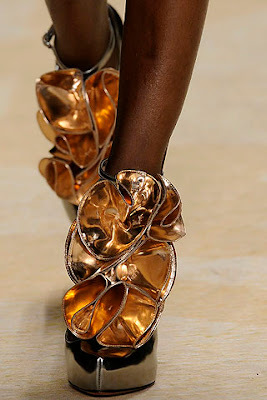 Accompanying the shoes, it just gives them a vibrating personality, a game of textures. 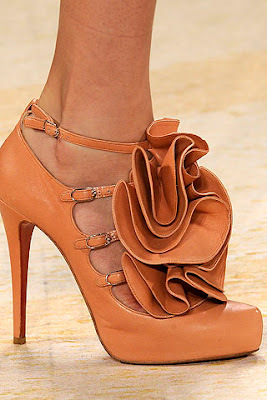 The ruffle bouquets placed on top of the shoes make these resemble a sleeping animal. And I don't mean it in a negative way. Maybe my imagination is running this wild also because of the snakeskin being so clearly stated. i needddd the first pair. i like the gladiator-style ones, very new.